There is no second chance at a first impression, so choosing the right partner for technology in your reception, lobby, school or open spaces is instrumental to your brand perception. 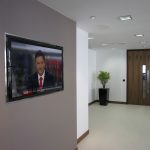 ITSL have been installing AV and digital signage in this space for many years and the experience gained is vital in generating the best solution for the space, audience and message. ITSL stands proud as an exceptional technology solutions provider. 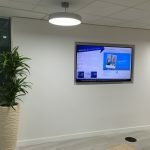 Ambitiously leveraging digital signage technology to spread brand awareness, entertain customers or inform – The ITSL team can create and install the solution that fits your goals. There is simply no end to the amount of creativity we can put in your project. 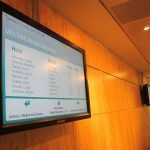 From high quality displays to play your message to effectively installed and displayed digital signage for instruction, ITSL will see it through. 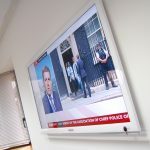 From LED displays to projection and video walls ITSL are your partner of choice. 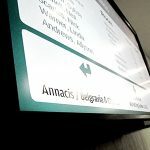 Imagination, creativity and flair – ITSL Digital Creative Services help you hit the ground running with any new digital signage application. From inception to storyboards to final load, the ITSL creative guru’s will help you realise your business potential on this new and exciting digital platform.